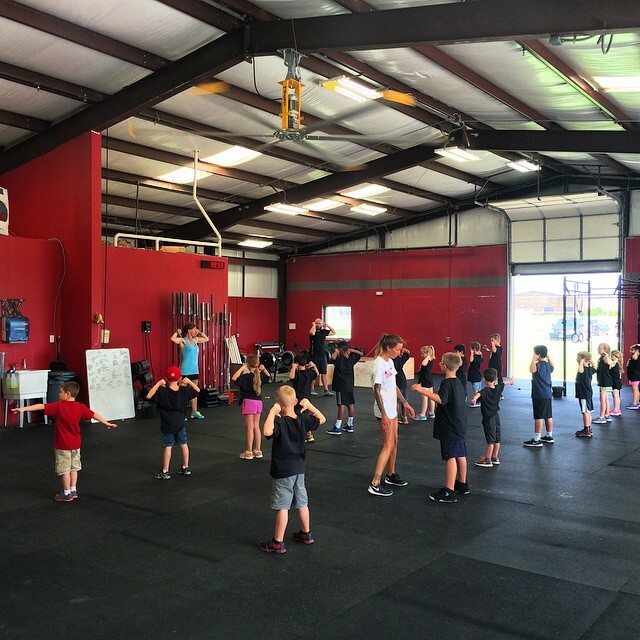 CrossFit Kids combines gymnastics, body-weight calisthenics, and weight training elements to develop capacity across all essential physical skills, with additional focus on elements that encourage bone density and vestibular system development. Children have a great opportunity to maximize their physical skills when exposed to this stimulus during years of peak development, and the elements are combined to keep children engaged and entertained while teaching them proper movement mechanics and creating a broad athletic foundation. In CrossFit Kids, it is imperative to pair fitness and fun, thus creating a lifelong love of health and fitness for our children. Please sign your child up for a Free Intro before arriving. Program Description: Designed to introduce Preschoolers and Kindergarteners to CrossFit concepts. The class duration is short and its play-based curriculum is geared towards teaching kids to think of exercise as FUN. Skills are age-appropriate developmental motor skills for the average 3-6 year-old. Program Description: Both the CF Kids Level 1 & 2 classes build on the foundation of FUN. The skills expand to include the majority of CrossFit’s foundational and auxiliary movements. The goal is to develop and improve general physical fitness in order to prepare kids to be safe in sports (and life in general). Program Description: The Teen Class will be for Teens & Pre-Teens ready for moderate weightlifting and weight training, more advanced gymnastic skills, and more intensity. Each class must have at least 4 kids/teens enrolled to keep the class as scheduled. To register, contact Coach Jill. All rates are monthly. For more details contact Coach Jill. All cancellations require written notice via email at least 15 days prior to renewal date.